Walked round Baron’s Haugh RSPB reserve early afternoon. Warblers in the trees to be heard but not seen. Lots of butterflies,whites and orange-tips, but they weren’t settling. Saw a few Common Blue Damselflies near the river. Well I think they’re Common Blue. 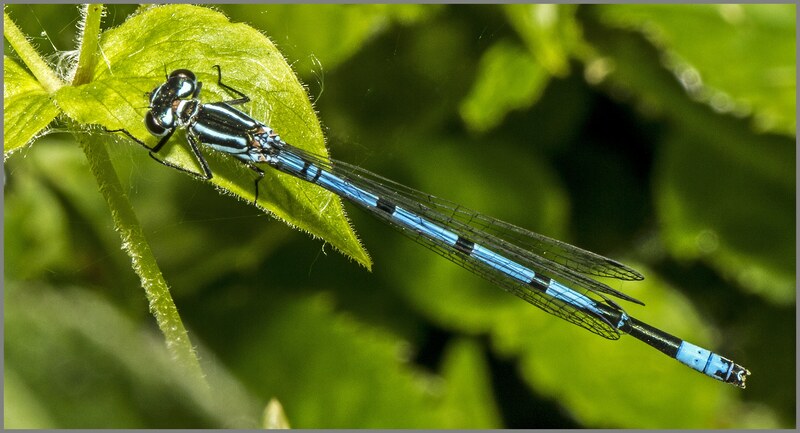 The blue damselflies mostly look the same to me and I can never spot the differences on the 2nd segment or 8th segment or whatever, even looking at a macro photograph. They are beautiful summery creatures and that’s what matters. Met a retired professional photographer who was sitting on a log and he very kindly gave a mini masterclass in outdoor portraiture. Thank you.